More than three quarters of all smartphones in the world are delivered to the market with the pre-installed Android operating system, developed by Google. On the contrary, Apple in its gadgets uses the OS of its own production - iOS 9 or iPhoneOS, as it was called before. The latest generations of apple devices work exactly on the 9 version, but the company does not stand still, and the development of the new 10 OS is nearing completion. At the moment, it is undergoing a free beta test, during which everyone can upgrade and try it in action, without waiting for the stable version to be released. In this article we will try to determine how to properly organize this process. Test OS for developers. This option is available to users who have previously subscribed to AppleDeveloper. Such registration is worth exactly 100 $, therefore, usually those who develop software for the company's gadgets subscribe to it. Free OS. In fact, this is an analogue of the previous version, but for its downloading and testing it is not necessary to pay a fee. You can download a file archive from the official site freely. Registration is done on the Apple Beta Software Program website using an AppleID account. 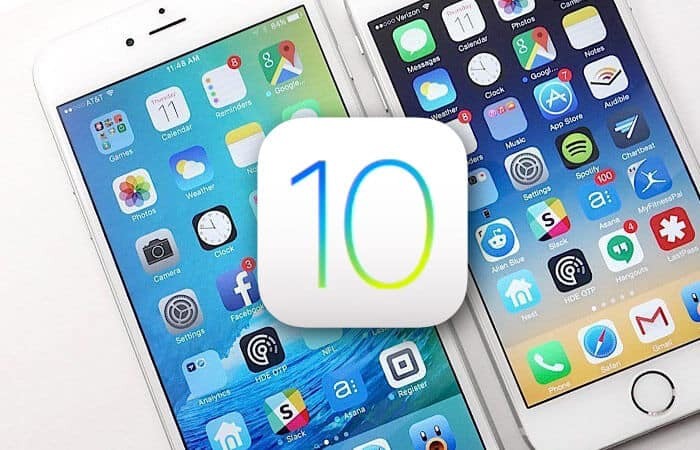 Officially, both versions are identical, but it is possible that both categories of testers will have different capabilities and access rights, but the developers and ordinary users of iOS 10 have different goals. The former must evaluate the capabilities of the OS in terms of adapting new applications for it, and the latter the behavior of the system itself and the programs installed on it. Updated lock screen. Thanks to 3DTouch technology, you can manipulate notifications right here, without going into message mode. New Spotlight. The search tool was supplemented by an assistant and other relevant information from the network. Open Siri. In this version of the OS, the company decided to open API applications for third-party developers. 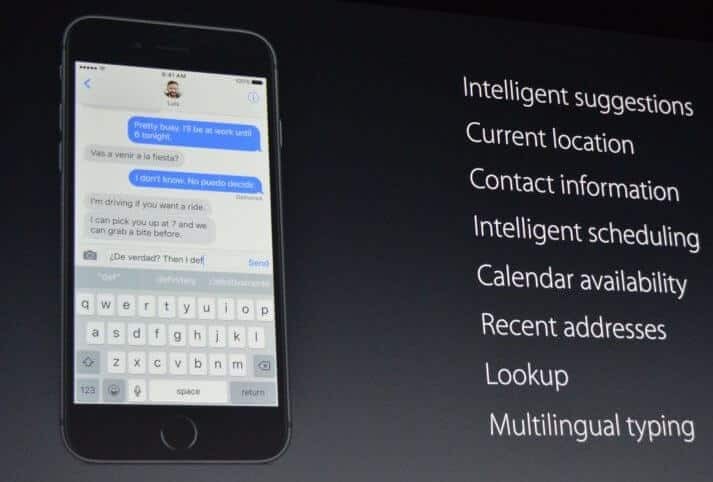 In addition, it is now possible to communicate with an interactive assistant, as with a living person. Communication. For those owners of apple gadgets who can’t imagine life without a chat, the new QuickType feature is now available. Now the user's hand has contacts, the location of the interlocutor, a calendar and other functions. New camera features. In addition to face recognition, the program now copes with objects. In addition, the Memory function introduces new image sorting logic. Cards. 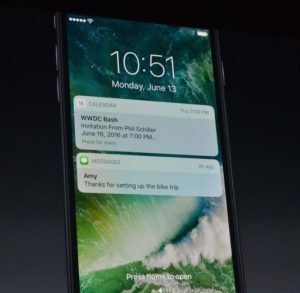 The new iOS 10 significantly redesigned interface, navigation, synchronization with third-party applications. Smart House. 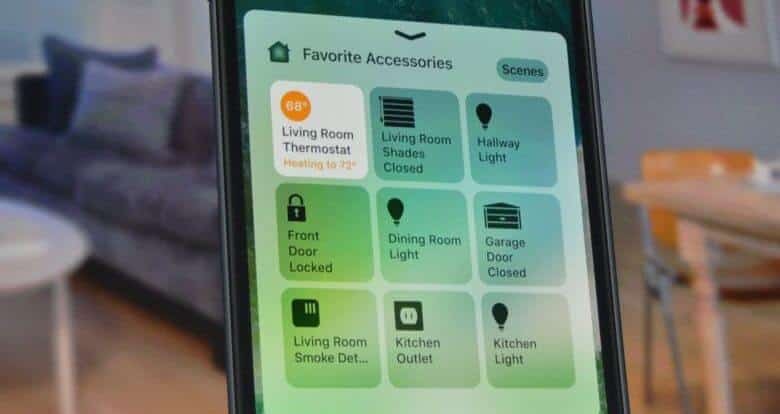 The novelty of the previous OS HomeKit application allows you to manage electronic systems at home, and much more interesting. This is only a small fraction of those innovations and improvements that are waiting for fans in the new operating system. So, when will the full official version of the OS? A full-fledged iOS 10, according to the press release, will be released sometime this fall. In the meantime, you can upgrade your existing OS and try its potential. It should still be remembered that this version is raw and spreads it on the network only in order to identify obvious gaps in the design. The update process should start by creating a backup of the device through iTunes. As practice shows, the process itself does not cause any complaints, but the iOS 10 beta itself can really be triggered for logical reasons. In addition, the company strongly recommends choosing to test any other, but not a working / everyday gadget. Installing a new OS is possible on the iPhone (models starting with 4S and ending with the current SE), iPadAir / Pro / Mini, iPodTouch 6G. The first step is to install a developer profile, a link to which can be found on the Internet. It also contains a strong recommendation to conduct all operations only through the Safari browser. When the device is selected in the dialogue, you will have to legitimize the installation, so to speak, by clicking the "Install" button. Next, you will have to "agree" with all the requirements, restart the smartphone and launch the update through the "Settings" menu. 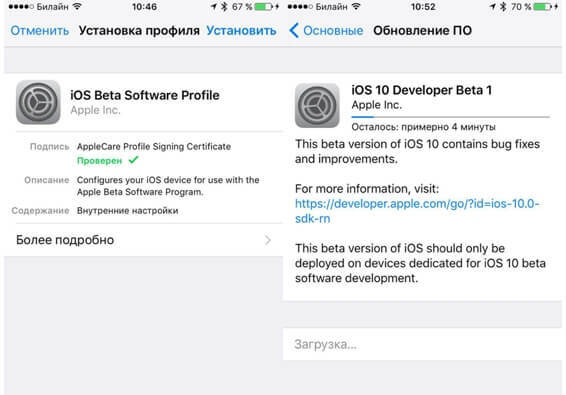 The system will scan the broadcast itself and detect the presence of a new iOS 10 beta, starting its download. After saving the installation data, the program will ask for confirmation of the update procedure. A positive response to this request activates an automatic installation with a subsequent reboot. In principle, the whole procedure will end there, but it will take about half an hour, so you have to be patient and free time.